The supply chain sits at the center of the health care industry’s ongoing transformation. A recent study by Navigant found that U.S. hospitals could reduce annual supply expenses by approximately $23 billion in aggregate through improvements in supply chain operations, processes and product use. The cloud offers a cost-effective model, along with massive computing power, to support the most innovative supply chain initiatives. Five years ago, automation in the health care supply chain was simply an emulation of paper processes. It was better than paper, but it didn’t allow the industry to do anything faster, or dramatically different. Since then, the industry has made significant progress emerging from the technological Stone Age to become fully automated. Supply chain transactions that used to take 90 minutes have been reduced to 15 minutes. That is really just the start. The next step in this automation evolution is just-in-time delivery. True real-time delivery will increase efficiency across the health care supply chain and help providers keep inventory and costs low, while reducing waste. Pushing the supply chain to this next level requires a tremendous amount of computing power that was previously cost-prohibitive for most industry stakeholders. The cloud changes the paradigm. It enables speed, scale, and resiliency without major capital investments. The cloud allows us to reimagine the supply chain’s potential because we can scale up the architecture and processing power as demand dictates, at a fraction of the cost. This is important because the health care industry needs an agile, resilient supply chain. As the supply chain moves faster there will be less slack in the system. When transactions took 90 minutes, there was a lot of breathing room to handle system failures caused by issues such as natural disasters or component failures. But in the 15-minute world, we no longer have that luxury. The architectures powering health care supply chains must keep running. One of the negative downstream effects of system failure is canceled medical procedures that result in tarnished reputations, lost revenue and substandard patient care. The cloud provides phenomenal levels of resiliency that health care manufacturers, distributors and providers can’t achieve on their own. In the cloud, the architecture is distributed across multiple datacenters and components. If one datacenter goes down, the architecture can failover to another datacenter in a matter of minutes—significantly reducing if not eliminating altogether the opportunity for failure. At GHX, I experienced the cloud’s resilience first hand. In February 2017, Amazon suffered its only outage—ever. That outage, inadvertently caused by one of Amazon’s system administrators, took down three datacenters on the East Coast. My team and I were able to get back up and running using Amazon’s West Coast datacenters in under two hours. In the past, that type of failure could have taken a day or more to rectify and cost an organization millions of dollars. Today, if needed, we can conduct that crossover in a mere 15 minutes with minimal cost to the business. 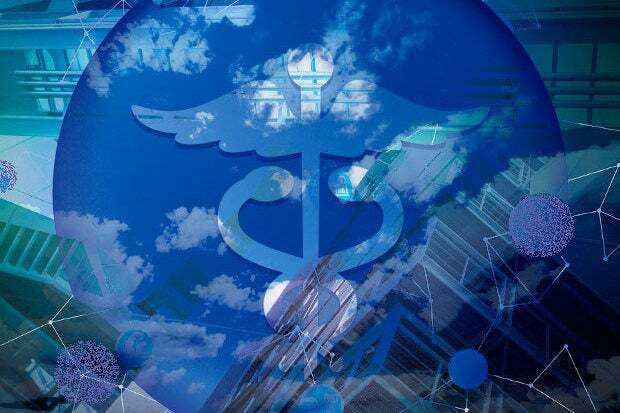 The cloud offers the health care industry a tremendous opportunity to re-think the way it manages and uses IT resources. The cloud can free the industry from its expensive legacy systems, and enable the industry to use its data in a more transparent, efficient way that will dramatically improve the way it conducts business.